Home / brand new / música / Nikhil / Nikhil D'Souza / Nikhil Unveils New Single "Love Is A Liar"
Nikhil Unveils New Single "Love Is A Liar"
London-based musician, singer and songwriter from Mumbai, Nikhil has just unveiled his brand new single Love Is A Liar, out now through East West/Warner Music. What drew me to this song was the emotion of his vocals and the mellow, introspective vibe of the song. It's beautifully produced and his vocals soar and convey so much emotion. Stream it below! It's really about those patterns we keep falling into in our relationships. When we're getting out of a toxic relationship we always tell ourselves 'never again' - but that resolve somehow seems to be only fleeting - and we find ourselves in the same situations again and again. We're fools for love, it's a drug, and it can be painful but we'll keep doing it... and that's that. 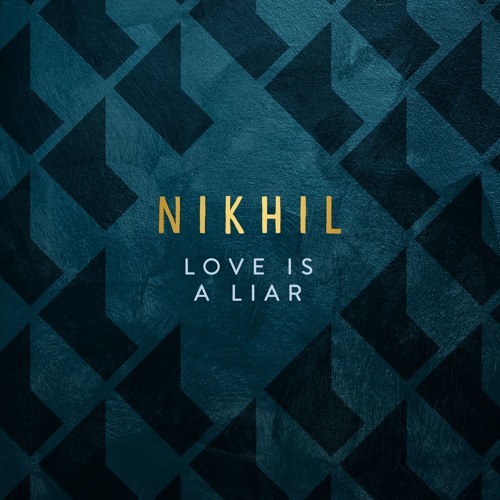 Love Is A Liar was produced by Jonathan Quarmby (Benjamin Clementine - At Least For Now) at London's storied Rak Studios, and showcases Nikhil's growing talent as both a songwwriter and lyricist. This song follows his other stunning single Silver And Gold.